Hi friends! 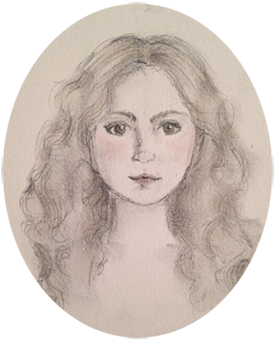 So, life got a little crazy and I took an unintentional blogging break. I'm hoping to get on a more regular schedule soon, but in the meantime, I've been knitting up a storm. I'm going to break up my projects into a few knitting catch-up post to keep it from becoming overwhelming. Today, let's talk socks, specifically, purple socks. First up, these are the Blueberry Waffle Socks in Paton's Kroy sock yarn, in the Cameo Colors colorway. I fell in love with this pattern/yarn combination after seeing Dani knit these on the Little Bobbins podcast, and I shamelessly copied. I've since knit several pairs of Blueberry Waffle Socks, they've become my go-to sock pattern. The ribbed nature of the pattern makes them fit really well, and it's just interesting enough to be both enjoyable and mindless knitting, perfect for my commute knitting or knitting on while watching podcasts. I did contrasting afterthought heels on these socks in some charcoal gray Paton's Kroy. 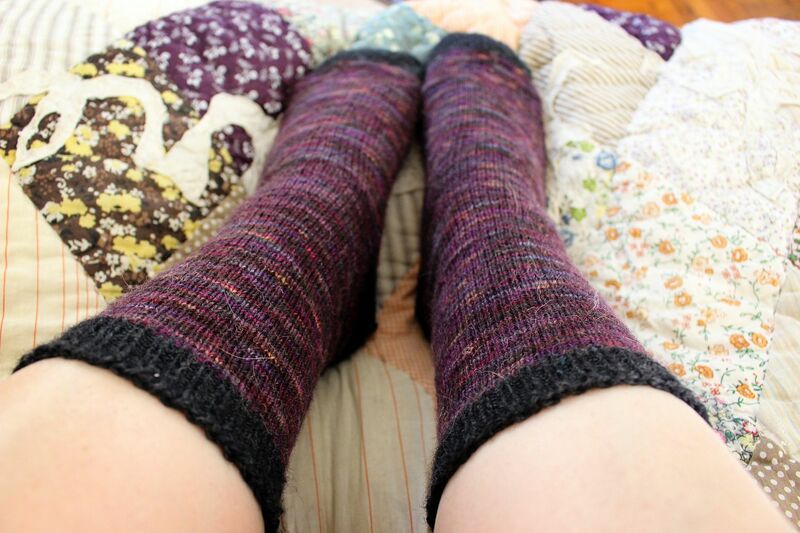 I also knit a pair of plain stockinette socks out of some gorgeous yarn from Black Bunny Fibers. I purchased this yarn at Vogue Knitting Live in January of 2015. It's the Belmont base, which is a blend of 55% superwash merino, 25% nylon, and 20% kid mohair, and the colorway is Cracked Pepper. I wasn't sure how I would feel about the mohair content in this yarn, but I barely noticed it while I was knitting. If anything, the socks feel a little more sturdy and hard-wearing than usual. Toes, afterthought heels, and cuffs are in charcoal Paton's Kroy. 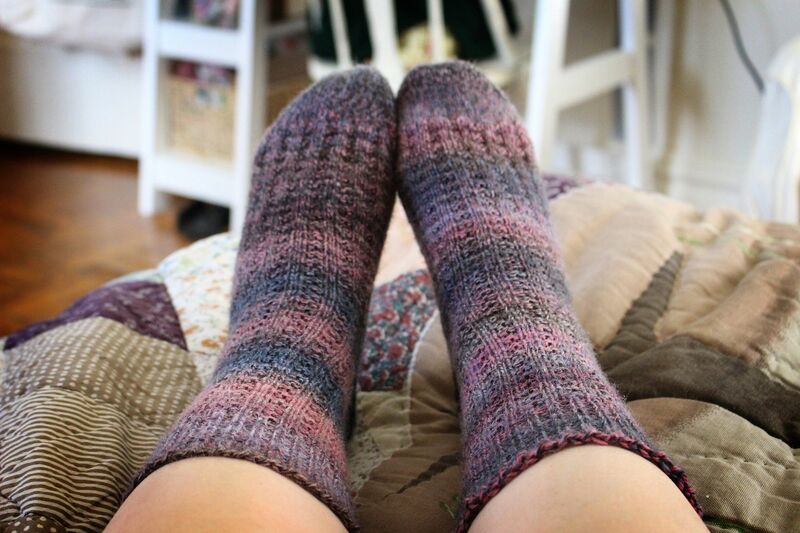 When I knit these socks, I was using a US size 1 needle, and 72 stitches. I'm a tight knitter, so I've since changed to using a US size 2 needle and 64 stitches. The fit is the same, but the socks feel softer because they're not quite so dense. Honestly, when I first started knitting, I wasn't sure I was ever going to be a Sock Knitter (capital S and K). I was not even close to correct. I love knitting socks and I almost always have a pair on the needles. And that's a good thing, because my stash of sock yarn.... well, let's say it's healthy. Very healthy. Robustly healthy. Oh, and #blizzard2016? Yup, that happened-- we got about 26" of snow in Bayonne between Friday night and this morning. Thankfully, I have a vacation day on Monday, so I don't have to venture out of the apartment for a few more days. I'm all stocked up on the essentials: Lush bath bombs, tea, and Choco Leibniz biscuits. Oh, and yarn. So much yarn. How did all of you weather the storm? What are your hunkering-down essentials? Would you like to visit my website?